Sorrento on a Budget: How to Save Money and Spend Less! Some people believe that it’s impossible to visit Sorrento on a budget. Well, friend, I’m here to tell you that’s a whole bunch of merda, if you’ll excuse my Italian! 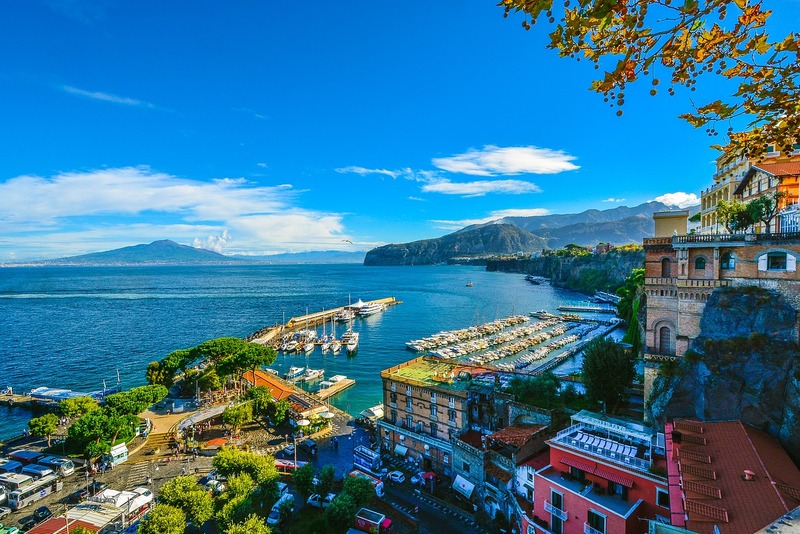 Sorrento was recently found to be the most expensive seaside resort in Europe, according to an analysis by the UK’s Post Office (yes, that well-known barometer of all things travel…), who found it to be three times more expensive than Bulgaria’s Sunny Beach. Whilst it’s unlikely to have an effect on Sorrento’s deserved popularity, it may well put off a few budget travellers, killing dreams of experiencing a few days of la dolce vita on a tour of Italy. And given that Sorrento is far more reasonably priced than the Amalfi Coast, that makes this whole, outstandingly beautiful part of Italy a no-go for budget travellers and backpackers. That would be criminal, frankly. 1 So, is it actually possible to visit Sorrento on a budget? 2 How do I get to Sorrento on a budget? 3 Where to stay in Sorrento on a budget? 4 What is there to do in Sorrento on a budget? 5 Where to eat in Sorrento on a budget? 6 Are there any day trips from Sorrento on a budget? So, is it actually possible to visit Sorrento on a budget? We do have to factor in that budget travel is a relative term. I’m not going to lie to you, and tell you that you can do Sorrento for fifty cents a day, because that would be wrong and I would have travellers turning up on my doorstep with pitchforks and burning torches, and my local Neighbourhood Watch would get really perturbed. But, you definitely don’t have to spend big. There’s certainly ways to cut costs, and make it as affordable, if not cheaper, than other locations in Italy and beyond. Regular readers of this blog will know that I’ve stayed in Sorrento five times. I’m not dripping in jewels and yachts here (more like dripping in bills and budget supermarkets); you can have just as good a time without splashing out on luxuries and rooftop bars. Trust me; I’ve done it. Repeatedly. So, let’s have a good, detailed look on how to stay in Sorrento on a budget! How do I get to Sorrento on a budget? There’s two ways you can reach Sorrento on a budget, and both of them are much cheaper than you might’ve expected! But one thing’s certain: you’re probably going to arrive here via Naples, whether you’re going to land at Naples’ Capodichino airport (NAP), or if you’re on a tour of Italy and coming down from Rome. Let’s look at the options! If you’re arriving at Naples Airport, stay the heck away from the taxis. Like everywhere else in Italy, getting a taxi will cost you an arm and a leg, and will wipe out your budgeting pretty much immediately. That’s not the start you want! Instead, skip your way out of the airport terminal, and out into the parking lot located just outside. Look for a bus marked with the Alibus logo; this is a shuttle which will cost you a reasonable €5, and get you to Napoli Centrale station in 20 minutes. At the station, you want to buy a single ticket for Sorrento from the ticket office – this will cost you €4.50. Then, check out the Departures board for a Circumvesuviana service with Sorrento as its final destination, and hop on. Job done: you’ll be in Sorrento in roughly an hour! Do remember to validate your ticket before getting on board, though, otherwise you’ll quite possibly pick up a €60 fine from the ticket inspectors. The validation machines are usually yellow or blue, and often attached to a wall on the platform. They can often look vaguely reminiscent of hand sanitiser dispensers, so keep an eye out for those! Want to spend an extra Euro, but save yourself all that fuss with busy train stations and ticket validation? Awesome news: you can do just that! I’ve recommended CurreriViaggi on this site so many times that people are going to think that I’m in some sort of romantic relationship with them (alas! ), but that’s because they provide a fantastic service for only €10 – a fraction of the cost of a taxi. Their shuttle bus has regular departures from Naples Airport to Sorrento, and you can dump your bags off, relax, and enjoy the scenery. You can even book your ticket online (or you can just pay on the day if you forget) – when you arrive at Naples Airport, head out to the P1 parking zone located about five minutes walk from the terminal, and you’ll find the shuttle bus there. Be sure to get there ten minutes before departure; you can check the timetable on the website. Where to stay in Sorrento on a budget? Sorrento is well-served by public transport. The trains and buses are cheap, and services are regular. What does this mean? Basically, you don’t have to stay bang in the centre of Sorrento, where all the expensive hotels are – you can walk, bus, or train in from the cheaper suburbs located just a short distance out, and save yourself a whole pile of cash! The adjoining towns, in order of closeness to Sorrento town centre, are Sant’Agnello, Piano di Sorrento, and Meta. If you don’t mind swapping a cheaper price for a longer journey into town, you could also check out Vico Equense, or even Castellammare di Stabia for reasonably priced accommodation. 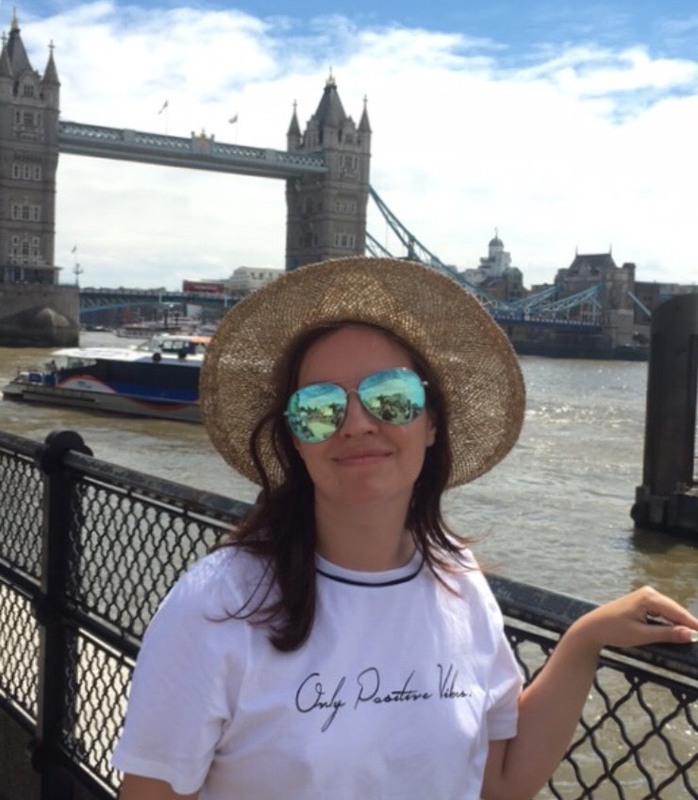 I’ve even got you covered for hostels and Airbnb – how nice am I? Really, I’m just too nice. Let’s take a look at some options in each area! Sant’Agnello is nearest to Sorrento, and there’s not an awful lot of difference between the two – you can walk between them, and really not notice any difference. It’s just a slightly longer walk, but for those seeking Sorrento on a budget, walks hold no fear! Casa Vacanze Li Galli: This place is an absolute steal. For a very reasonable price (check the link for your exact dates), you can have an apartment in a great location, a sea view from the balcony, a location in a quiet village, and the secure feeling of staying in a place with superb reviews. Check them out! La Piazza: This B&B is ideally located right next to both the Sant’Agnello train station, and a bus stop, allowing you to explore Sorrento at a fraction of the cost. The rooms are extremely well-equipped, and the owners friendly – you can’t ask for much more! Piano is separated from its namesake by the community of Sant’Agnello, but it actually covers quite a large area, stretching from one side of the Sorrentine peninsula to the other. So do bear that in mind if you happen to look up accommodation; you might be slightly further out from Sorrento than you thought! But Piano’s countryside and lower prices means that there’s some bargains to be had. Agriturismo Piccolo Paradiso: Fancy your own little paradise? If you want to get out in the sticks and experience something a little different, check out this wonderful little place. The prices are quite unbelievably cheap, especially when you consider that you’re staying in a lovely little country house with a view of the sea, with an on-site restaurant serving organic food. A bus stop 100 yards away takes you on the ten minute journey into Sorrento. The Secret Garden Relais: This place is one of the best finds in the whole area. Prices are cheap at this gorgeous little hotel, which is cute but classy. Rooms in this historic building have quirky period features or gorgeous sloping ceilings; you really feel like you’ve acquired your very own Italian apartment for a few days. Plus, if you book it using the link I’ve provided, you’ll get breakfast included! Meta is a narrow strip of a town between Piano di Sorrento and Vico Equense – it’s the furthest out of the three towns attached to Sorrento, but it still has the same excellent transport links into town. More importantly for the budget traveller, it also has some really excellent accommodation for knockdown prices. Take advantage of these! Maison Ro’: As an aficionado of hotel reviews, this has some of the best that I’ve seen in the Sorrento region – and the prices are quite ridiculously cheap. This guest house is spotlessly clean, absolutely gorgeously decorated, and a stone’s throw from the train station, which will take you straight into town. Get this one before it’s gone. Sorrento Coast Relais: Are you the kind of person who likes to have everything? If so, you’re sorted here: the guest house is close to both the beach and the train station, allowing you to spend a handful of pennies to explore Sorrento, then retiring to the beach when you’re done. The rooms are really well-equipped, making sure that you’ll want for nothing! Hostels: There’s a few hostels in the Sorrento area, but the best-regarded is Ostello Le Sirene, located right in the town centre, close to any amenity you care to mention. Being able to book a room is definitely a plus, and you’re close to all of the nightlife without being right on top of it! You’re also very close to the train station, allowing you to explore the area at your leisure. Airbnb: There’s definitely some bargains to be had by using Airbnb – they’ll certainly cost you less than any of the hotels in the town centre, but if you’re looking for some absolute bargains, then you may have to travel slightly further out. Check out properties like this one in Massa Lubrense, or this room in a private house. Vico Equense: This town further along the Bay of Naples won’t be a long journey into Sorrento, has an interesting Roman history (and is also the hometown of Bruce Springsteen’s maternal grandmother, fact fans), and is known for serving pizza by the metre. Yes, a whole metre of pizza. What’s not to love? Check out properties such as Hill Valley View, which gets exceptional reviews for a steal of a price. Castellammare di Stabia: Speaking of interesting Roman histories, if you don’t mind being closer to Pompeii than to Sorrento, then Castellammare di Stabia might be a good choice for you. The historian Pliny the Elder watched the explosion of Vesuvius from a vantage point here – not that he really benefited from it, as he died of a heart attack as he watched. These days, you can make happier memories at places like Tannery House Stabiae Sorrento Coast, which is one of the cheapest, yet best-reviewed, places I’ve found on the entire coast. What is there to do in Sorrento on a budget? The beauty of this corner of Italy is just that: the beauty. So, aside from all of the free, man-made attractions that this area has to offer, there’s an absolutely countless number of amazing places to see which have been entirely created by nature. And it’s So. Freaking. Beautiful. If you can’t find some truly memorable things to do in Sorrento on a budget, then you’re just not looking in the right places. Here’s my list of the some of the best spots in Sorrento – and they’re all free, or very little cost! By the way, if you want a really comprehensive guide on things to do in Sorrento, click the link! If you’ve ever looked up Sorrento online (and presumably you have, given that you’re reading this right now. We’re really happy to have you here! ), you’ll probably have seen a photo of a large building completely covered in foliage, looking like something recently discovered in an ancient, primal jungle. It’s not a picture of Guatemala; it’s actually Sorrento! The Valley of the Mills contains, funnily enough, a mill which was active throughout a large chunk of Sorrento’s history, but which was abandoned in the 1940s. Mother Nature did her thang and promptly took over the site, and now it’s like looking down into another world. Stand outside the Antiche Mura hotel, and look over the small wall, and you’ll see a grotto of greenery, plants, and birds. The fact that many visitors overlook it completely will only make you love it more. Sorrento’s prettiest church is difficult to miss: if there’s not a wedding going on (it’s a popular spot with British newlyweds, as well as Italian couples), then you’ll see the crowds of visitors heading past it to check out the views of the Bay of Naples. But if you walk past, you’ll be missing out on one of Sorrento’s loveliest spots. The cloister attached to the church is shady (wonderful on a hot day! ), dripping with climbing flowers, and often sheltering a snoozing cat – this is a church dedicated to St. Francis, after all. There’s sometimes artworks placed along the sides of the cloister which you can peruse, and buy (if you want to completely blow your budget out of the water), or you can pop into the church itself and have a look around. Remember to dress appropriately if you do. Want to go swimming in the crystal blue waters of the Bay of Naples, but want to do it in style? You don’t have to pay for entry to one of the lidos near the harbour – and that’s too tame, anyway. How about a real experience, and going where the Italians go to swim? How about swimming in a dramatic pool, carved from the rocks by the crashing of the waves? That’s what you get with the baths of Regina Giovanna, a deep blue swimming hole located near some Roman ruins, just around the headland from the main sprawl of Sorrento. It’s out of the way, hidden, and completely awesome! Best of all, there’s no fee – you can either take the 50 minute hike up the hill, by which point you’ll need a dip in the sea to cool off, or you can fork out a handful of Euros and take the bus to Massa Lubrense. Ask for Regina Giovanna; they’ll drop you off at the right place, and you’ll have a much shorter walk to the pool. One of the biggest joys of Sorrento is simply taking in the views. It’s one of those towns where, despite not being massive, there’s an epic view around every corner. It’s well worth just taking the wander through Sorrento’s streets, and seeing what you happen across. Check out the view from the piazza near the Chiesa di San Francesco, or the panorama across the Bay of Naples from near the terrace belonging to the Hotel Bellevue Syrene. Go down to Marina Grande, and walk out on to the metal jetty for a view of the town from the sea. Or head down to Marina Piccolo, and spot the community of cats who’ve taken up residence in the little park behind the cafe. READ Travel: Positano Bites Back. Hunting down that perfect photo shot really is as much fun as anything you can pay for! And it’s, like, totally free too. We like totally free things. People-watching is one of life’s great joys. After all, that’s what makes airports so endlessly fascinating! Sorrento has the perfect people-watching spot for you, and all it’ll cost is the price of a coffee. Rock on up to Bar Fauno on Piazza Tasso, purchase yourself a beverage of your choice, and take a seat overlooking the square. You’ll see a wonderful cross-section of Italian life: people zooming past on Vespas with seemingly half their family clinging on, classy-looking guys in their chinos and sweaters, the rather-adorable land train ferrying visitors to all the sights (it costs €6 to go on a tour – not a bad price for a 30 minute trip), and some tourists looking terrified as they try to cross the roads. What if you don’t want to splurge on Bar Fauno? Head down Corso Italia (in the direction of Marina Grande) and you’ll find a gelato shop; buy one and head back to the piazza. You can now be molto italiano, slurping your gelato in the shade, and watching the world go by. There are some amazing hikes to be experienced in the Sorrento area – after all, it’s a hilly peninsula surrounded on both sides by the sea, with some truly jaw-dropping sights. For instance, did you know that you can hike up to Massa Lubrense, and take in some epic views of Capri? Now you do! And you should totally do that, by the way. Hiking is one of the best budget activities you can do – you get to see amazing views, stop for lunch in authentic cafes that the tourists haven’t reached, and it’s completely and utterly free to do. The hike up to Massa Lubrense is my favourite (pop down to the harbour for a chilled-out break by the sea), but this guide to Sorrento walk routes should give you ample inspiration! Sorrento’s market isn’t huge, but it’s a great resource for anyone travelling on a budget. Not only can you stock up on plenty of fresh produce for making your own lunches and breakfasts, but it’s also a great place to pick up some souvenirs without breaking the bank. You’ll find quite an array of fashion merchants who are quite happy to be haggled with – on my last visit there, I got a rather nice jacket for the knockdown price of €5. It’s served me extremely well ever since! The market takes place every Tuesday from 8AM to 2PM. It’s not located within the town centre, but you can find it by heading up Via S. Renato – keep walking up until you see a sharp turn in the road; the market is just around the corner. You might’ve heard that Sorrento is not blessed with beaches – and to be fair, that’s true. The other side of the Sorrentine peninsula seems to be fairly blessed with stunning beaches, but alas, Sorrento drew the short straw, Life’s a beach, right? That doesn’t mean that there aren’t any beaches, though! If you’re staying out in the Sorrento suburbs, jump on the train or bus to Meta, where there’s a lovely beach just waiting for your patronage. It’s a combination of sand and pebble, but it does get incredibly busy during the summer season thanks to it being the main beach in the Sorrento area. Alternatively, you can head to Sorrento’s Marina Grande, where there’s a small beach with black sand. You can watch the fishermen at work, and sample the fruit of their labours in one of the restaurants along the beach once you get hungry! Alternatively, explore a little, and take a bus to Puolo (you’ll need to get off and walk down to the village – ask the driver to drop you off near Hotel La Solara). You’ll walk down a road which is shaded with olive groves, and is impressively steep! And if you’re wondering if that’s going to be a pain on the way back up: yes. Yes it is. But it’s worth it, because Puolo beach is lovely, clean, and largely untouched by the tourist hordes! Where to eat in Sorrento on a budget? It’s easy to look at Sorrento – as with many other towns in Italy – and think that every restaurant is way out of your league. You’ll see an awful lot of very fancy restaurants; the type where you get a little squirt of unidentifiable sauce on the side of your plate, a piece of meat the size of a golf ball, and a hefty bill. Don’t worry; it really is possible to eat out in Sorrento on a budget, and you’ll often find that they’re the places frequented by locals grabbing a bite! Alternatively, you can save a lot of money by making your own lunches and breakfasts! So along with this list of eateries, I’ve included a couple of supermarkets in town which will have everything you need! Da Lucariello: This may be a fast-food joint, but the reviews speak for themselves – it’s rated #14 of 247 restaurants in Sorrento. Prices are incredibly cheap, especially considering the size of the portions – check out those burgers!! It’s also a great option for vegetarians with a special menu. AZZ! Bar: This tavern is slowly becoming famous in the area for incredibly good food, especially pasta dishes, at incredibly good prices. Consequently, you may have to book ahead to guarantee yourself a table. You’ve got to try the lasagna! Franco’s Pizzeria: Simply the best pizza in town. Simple, authentic, and beloved by the locals, you’ll sit down at long bench tables and choose your pizza. It’ll arrive in a metal tray whilst you chat to your new friends, as you’ll almost certainly share a table, but that’s all part of the fun! Prices are great, and therefore I’m giving you permission to eat pizza every day of your trip. A’Marenna: This bakery is run by possibly the two loveliest ladies on the entire Sorrentine peninsula (and that’s some competition right there, let me tell you). Think of it as a better version of Subway. Choose your bread, choose your filling, and you’ll have one of the best sandwiches to ever pass your lips. Brilliant value! Decó: My go-to Sorrento supermarket, this is located right in the middle of town, around the corner from the train station. It’s big enough to serve any needs you have without being overwhelming, and carries a great range of products. Essential for making the most of Sorrento on a budget. Supermercato Pollio Sorrento: On the other side of the train station, this is the other larger supermarket in Sorrento town centre. It’s equally well stocked as Decó, and tends to be a little quieter thanks to being located away from Corso Italia. Are there any day trips from Sorrento on a budget? I know what you’re thinking. You’ve been converted to the idea of visiting Sorrento on a budget, but you’re still experiencing a little bit of heartache. After all, you don’t just want to visit Sorrento, when it’s such a good base for visiting Pompeii or the Amalfi Coast. You want to explore those places too! But how can you do it on a budget? I hear ya, my friend. The good news is that you can totally explore Pompeii, Herculaneum, or the Amalfi Coast for hardly any money! Yup, put down those expensive tour brochures! Rip them up, and throw them like confetti! I’m going to explain to you exactly how you can see the Amalfi Coast’s best sights for next to nothing! Usually, if you want to skip in the sandal-prints of the ancient Romans, you’ll have to fork out a hefty ticket price in order to do so. Plus, you’ll often feel that you can’t possibly interpret all that history on your own, so you need a tour guide. This all adds up, and makes for an expensive day! If you want to see these absolute must-see sites, there’s a way you can do it for only the price of your train fare! You just need to be a bit organised about it. The secret is to visit on the first Sunday in the month. You’ll find this initiative throughout Italy, when the nation’s treasures are opened up for absolutely nothing on the first Sunday in the month, and I think it’s brilliant! It does get busy though, so get up early and head to Sorrento’s train station. You’ll need a ticket to Pompei Villa dei Misteri or Ercolano Scavi, depending on where you’re headed: the journey will take about 30 minutes for Pompeii, or 50 minutes for Herculaneum, and will cost around €4. Go to the ticket office, and you’ll be allowed in for absolutely nothing. But what about a tour, or an audioguide? How are you going to know what it is that you’re seeing? You don’t need to pay out for either of those options, both of which can be overpriced. Go to the app store on your smartphone and download a guide: they’re generally quite good and comprehensive, and a lot cheaper than the audioguides! Plus they allow you to go around the site at your own pace, and skip anything you’re not so interested in. Bonus money-saving tip! Take a packed lunch with you, and plenty of water. The on-site cafes are a tad pricey, and trust me, you’re going to need that water! One of the saddest things I’ve ever experienced in my Amalfi Coast travels is meeting people who think that the Amalfi Coast is out of their reach. Tour companies imply that the only way that you can do the Amalfi Drive is to go on their expensive trips, and that it’s otherwise a no-go. Don’t think like that, my lovely! Visiting Sorrento on a budget doesn’t mean that the Amalfi Coast is closed off to you. The truth is that you can do exactly the same drive by buying a bus ticket! Trust me on this: the first time I visited Sorrento, I went on a guided tour. It was fun, it gave me a good introduction to the towns on the coast, but I couldn’t go off and explore anything. I felt like I’d been there, but not really experienced it. Skip forward a year, and I was back on the Amalfi Coast and exploring the towns by buying an all-day ticket, and it was so much better. You can buy the ticket from the tobacconist’s on the ground floor of Sorrento’s train station (roughly €8), and it’s like having your own hop-on-hop-off tour. You can explore Positano, Amalfi, and Ravello to your heart’s content, and return back to your Sorrento base in the evening. Get up early in the morning to beat the crowds, and make the most of it! Another popular tour company myth is that you can only climb up Vesuvius if you’re on a tour – after all, it’s a volcano! That means that it’s miles away from civilization, right? Wellll, not so much. You can see for yourself how close the volcano is to the city of Naples… and the truth is that you can get there by bus. It doesn’t seem quite so exotic and adventurous anymore, admittedly, but this does mean that it’s a hell of a lot cheaper than you thought! Simply take the train to Pompei Villa dei Misteri, and catch the EAV bus to Vesuvius – it’ll cost you about €3 for a one way ticket. You’ll still need to walk a bit to get to the top, but you’ll have just saved yourself an absolute ton of money! There’s loads of free or cheap activities to do in Naples! Wander through the streets, browse the stalls on Christmas Alley, explore some really beautiful churches, or simply grab a reasonably priced pizza! It’ll be the best pizza you’ve ever had, believe me! You can also visit the Naples Archaeological Museum, which has the best of the treasures from Pompeii and Herculaneum – most of which have been moved here for their own good. The museum usually charges for entry, but guess what! Visit on the first Sunday of the month, and it’ll be absolutely free! You don’t have to get one of the boat services from Sorrento to Naples in order to visit; hop on the train instead. Yes, it’s a bit slower, and yes, it can get quite crowded. But if you get to Sorrento’s train station in plenty of time, you’ll be guaranteed of a seat, and you’ll save a load of money! A ticket on the train will only cost you in the region of €5 – it’s a no-brainer. Okay, this isn’t a truly budget option, because in the case of both of the bay’s islands, you’re going to have to go there by boat (surprise!). Unfortunately, the boat fares tend not be be super budget-friendly, with a price of €20 for Capri, and €23 to Ischia. Fortunately, both islands have a good amount of things you can do for free – yes, even Capri! Frankly, the best thing of all is just to wander around, and take in the views; it’s worth the boat fare on its own. Ischia has beautiful beaches, pastel-coloured streets, and a dramatic castle complex which rises out of the sea. Capri has tropical cliffs, views of a startlingly-blue sea (spend €1 to enter the Giardini Augusto, and soak in some of the best views in the whole region), and a completely free hike on the Via del Pizzolungo. This’ll be one of your favourite memories from your trip, and it’s totally worth the initial fare! I hope that you’ve enjoyed this guide to enjoying Sorrento on a budget! 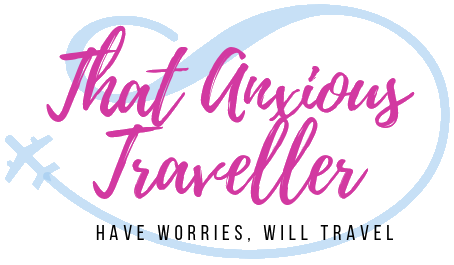 I also hope it’s persuaded you that it’s possible to do, because you really can make the most of your money, and still have a fantastic time on the Amalfi Coast region. There’s no reason why you should feel priced out, or put a barrier in the way of your enjoyment. Sorrento is open to us all! I’d be super-appreciative if you could share this guide to Sorrento on a budget, especially if you’ve picked up some tips from it! It all helps someone else in the same position. You can also pin it to Pinterest using the images below! Pssst! This guide to Sorrento on a budget contains some affiliate links! These incur zero extra cost to you, if you decide to buy the service offered, but it helps with the running of this site! I’m so glad there is a way to make this destination more affordable! Sorrento is totally affordable on a budget – we did the same as you and got public transport to Pompeii, Herculaneum and the Amalfi Coast. We managed to find a hotel right in the middle of Sorrento that was a bit old-fashioned but the room had a view of Vesuvius and breakfast was included. It’s called the Grand Hotel Cesare Augusto and it’s around the corner from the train station. Definitely worth a look at the rates if you’re visiting Sorrento on a budget. I had one of the best weekends of my LIFE on the island of Capri. It was during my semester abroad. But I never made it to Sorrento or anywhere else on the Amalfi Coast! Thank you for this list of recommendations — I feel like Italy can be done quite easily on the cheap if you know where to look, and you’ve found many of the places where to look. I seriously wish I had this guide two summers ago when I was nearby. I guess I’ll just need to go back — especially to have that pizza in your photo. Yum!